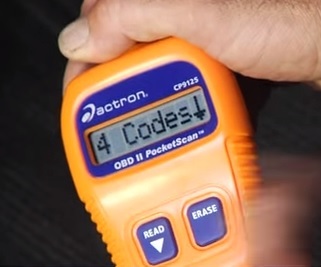 Having a good OBD2 scan tool goes a long way to help troubleshoot a vehicle problem and point to the repair needed. There are many good OBD2 scanners to use that come with different menus, features, and price ranges. Often what works for one person may not work for another so below we list our favorite picks for OBD2 scan tools. There is no doubt many good unit with those below simply some of our favorites with many more good options available. As always be sure to read the reviews on Amazon, here, forums, or elsewhere to be sure a unit is a good fit for you. 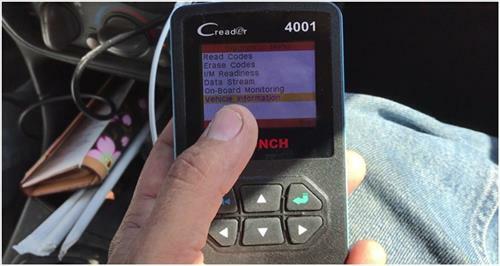 The Launch CReader 4001 is a nice mid-range OBD2 automotive scanner for 2019. It has a lot of options for such a low priced unit and one of our favorite picks. There is a lot of features built into it such as OBD Partial Functions, Read DTCs, Clear DTCs, Read dynamic data streams, Read vehicle information and much more. It found errors that many older scanners did not find which was impressive. The one downside is the plastic build of the unit which keeps the price low and may not last long in a professional shop. For the DIY part time mechanic it is a good option for a new scan tool in 2019. The menu has many options including Diagnostic, DTC Lookup, Review, Tool Setup, Print Data, Help, and Bat Check. Launch also makes the 6001 OBDII scanner which has more features compared to the 4001. It is a good mid-range unit that has more functionality such as an 02 sensor test. Most will not need the extra features and able to use a low-cost unit such as the 4001. The Actron CP9125 has been available for awhile and is a good go-to unit for any car or truck. There is no fancy features with it getting right to the point of giving an error code and clearing them when needed. There is new units which are better but the Actron CP9125 has stood the test of time and help troubleshoot many vehicles. This code reader from Topdon is a good unit that most anyone can use. It has a lot of options from reading standard codes to reading O2 Sensor Data. The menu options are well laid out making it easy to find why an engine light is on or other problems a vehicle is having. The Suaoki OM123 OBDII Scan Tool is a good low-cost unit that does what it is built to do which is read and clear codes. There is no-doubt better more expensive units but the Suaoki OM123 is a nice unit able to do most anything more costly scan tools can do. while using it I had no problems reading and clearing engine codes and plan to keep testing the unit. No list of OBD2 scan tools would be complete without the ELM 327. This small OBDII dongles came along a few years ago and are very low-cost units. They Pair with a smartphone and along with an App to display and erase codes. There are many small Bluetooth units available with the ELM 327 the most widely used. While they do work there can be compatibility problems at times with smartphones and some vehicles. Using an Android smartphone and the Torque app works the best with the ELM 327. This makes it a good unit for anyone needing more advanced features than standard OBDII. Added features include reading ABS (Anti lock brake system), SRS, and transmission fault codes. It does cost more and is a higher-end unit that is built for the more advanced user. 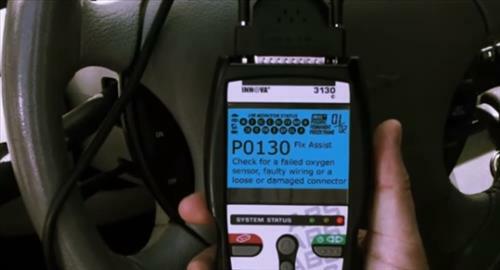 The FOXWELL NT510 is a very nice OBD2 scan tool built for the professional mechanic. It has many features an average DIY type person will not need. Most will be able to use a budget tool but for those looking for something better with lots of built-in options the FOXWELL NT510 is worth a look. 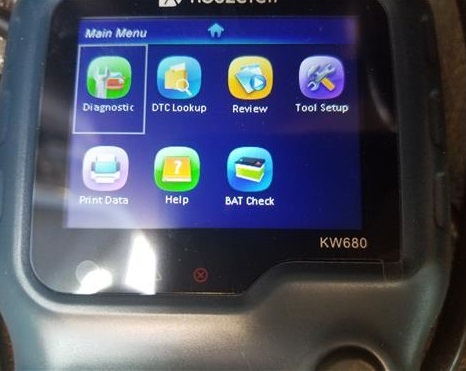 Besides being able to read and clear basic OBDII codes it can also read ABS, Airbag, SAS, EPB, DPF, BRT, EPS, CVT, Oil Service Reset Light and more. It is a nice unit but does cost much more compared to other scanners. There is no doubt many good OBDII scan tools with those above simply a few of our favorite picks. If you are confused on which unit to get any of the units above will work on any 1996 and newer cars and trucks foreign or domestic. OBDII is a set protocol all car manufactures agreed to add to vehicles for reading error and clearing codes. Some manufactures have added to the OBDII protocol list such as Vag-Com for Volkswagen but still have the basic OBDII protocols built-in. As always be sure to read the reviews on forums, Amazon, here, or elsewhere to be sure a unit is the right pick for you.